friends and family and worry about our problems and tomorrow, but never know which is our last day to leave everything that let us not to think for tomorrow and leave the worry of everything. Nevertheless, we have to survive and move ahead. Regardless of our pain, pressure and sorrow after losing our loved ones we have to keep on crippling along the road of life. It's the rule of nature that we have to accept it and it's not only me and my relatives; everyone in this world has to face the tragedy and there is no living being in this world without suffering. I lost my father last year after then tragedy began losing one after other relatives. How tough it was to recover the new wound, but without overcoming from that situation, I had to suffer from other. I almost lost the hope of life but learned the lesson we human being has to follow the same way one day. How we live the life matters a lot in life, regardless of the position you own or financial circumstances, you build, life has certain bound to fill it with the momentum and meaning to let it grow with the value of survival. We can't make our life meaningful just living the life of oneself, but someone who can live the life for someone else owes the meaning of it and achieves the salvation. We always think enough for us, but the almighty is willing to give us more than enough which is possible only by how we think and perceive our life. I forget that I am starving for the money and physical possession, but I have revealed in mind that I have enough for me to live, I am well equipped in life, I am the one who is talented and intelligent only I am filling the gap to utilize my strength to the right place at the right time. I will blossom one day, even I am a bud which could wither even in the winter because of my determination and willingness. 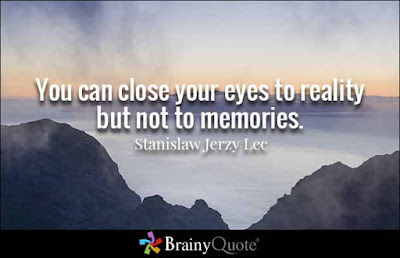 I know I am adding one layer of memory in life, sharing my feeling with you all but I hope sharing the initiation is the filling your mind with a power which helps you to blink the light one day and make you envision to move forward even in the absence of sun and moon. Goodnight!